Crocheted balls are used in these dolls heads but also variations of the ball pattern is used in their bodies and their hair too. Sometimes just having a simple crochet pattern available to hand can be so useful and this is why I want to post a really quick and simple pattern for a crocheted ball which can be worked up into amigurumi dolls and other toys, used in pompoms or necklaces, imagination is your only limitation! So here it is, a simple crochet ball pattern. 11. [sc2tog] repeat until closed, sew up any remaining gaps with remaining thread. Enjoy and share your work on our Facebook group. 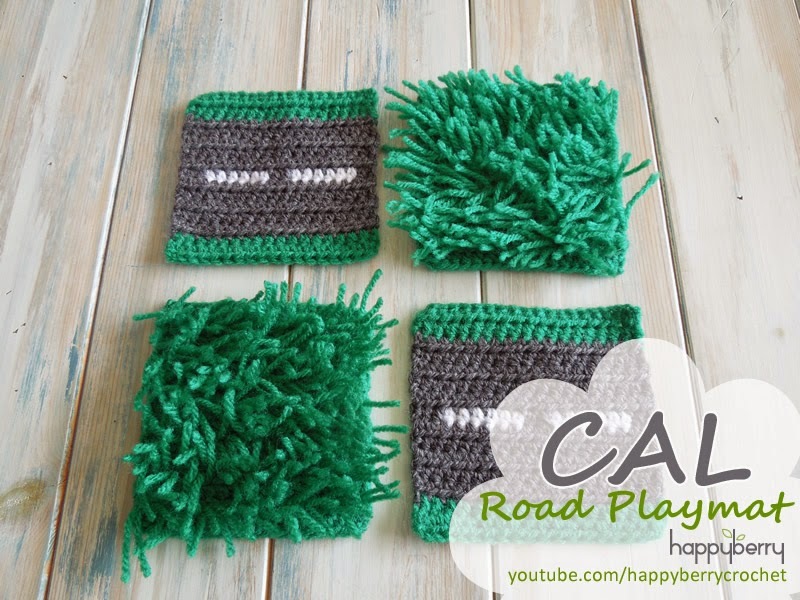 Beautiful works by crocheters using our patterns! 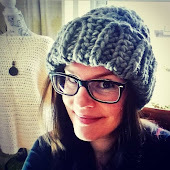 I have often been stunned by the amazing talents of HappyBerry crocheters from around the world and I wanted to showcase some of their work here which they have shared on Ravelry. I am often so delighted to see their beautiful creations and wonderful ideas and additions, colours used. I hope these photos too inspire you to try out some of our patterns too! Happy crocheting everyone!! I was so delighted when I saw the work by this crocheter. Sadly she doesn't say much about who she is but her work is truly stunning. 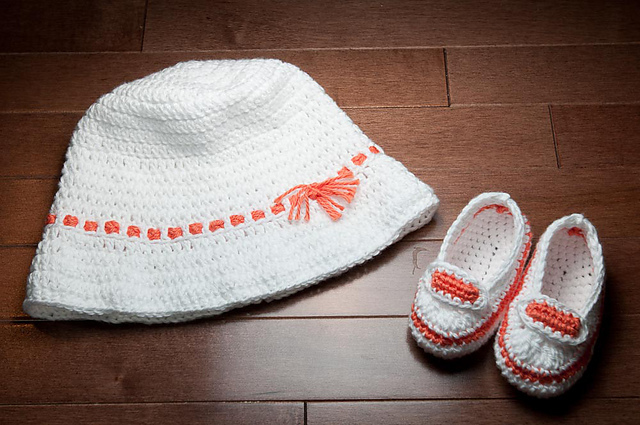 This beautiful take on our Baby Sun Hat and Sandals are just gorgeous with their bright white and orange colours. I just love them! 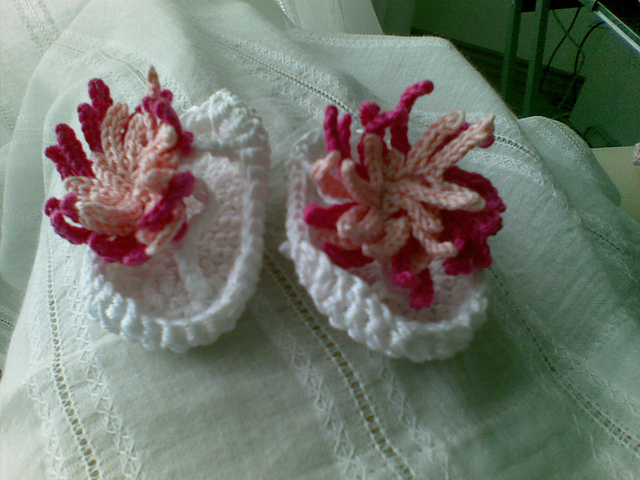 I love these Baby FlipFlops by crocheter sandrella (username) who is from Serbia! Her addition of a sea anemone instead of the original flower I think works even better adding a wonderful touch of vibrant colour. A very talented young lady indeed. These beautiful tulips from our Spring Tulips pattern were crocheted by the very talented Asjav (username) from Russia. I think these are a wonderful addition to any vase! don't you?! 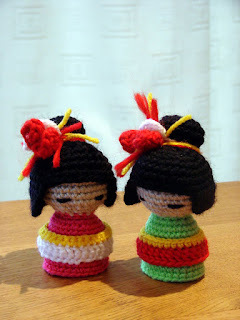 This is just one of the many Kokeshi Dolls crocheted by our crocheters on Ravelry but this one is still very much my favourite and to be honest I think goes above and beyond the original design! This Hello Kitty styled Kokeshi Doll is the work of the very talented ColoradoMom (username) from Colorado in America. Her profile reads that she is very modest about her talent but I think she is just one amazing lady! I've mentioned this chap's work before but I want to add his work to this blog post as well because these trainers are a truly stunning version of our Baby Boy Trainers pattern. 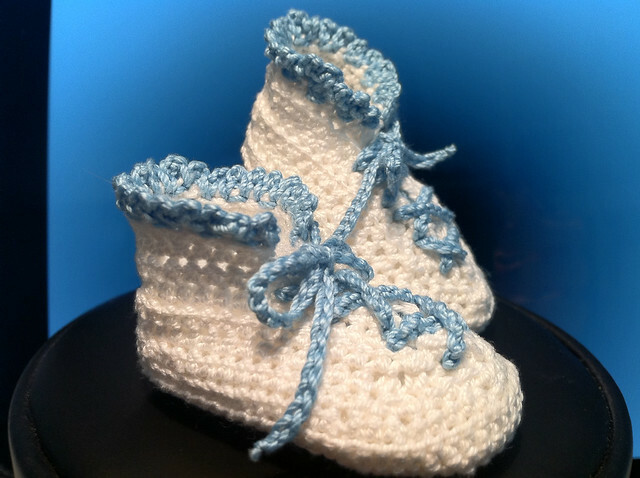 Reduced in size these little booties measure only 2inches and were made for a little baby boy who sadly died at only 22 weeks. I was touched by his story that I feel so honoured he chose a HappyBerry pattern. Socalsnow is from California in America. And that's it folks. I think with all this wonderful work I may have to start to think about a competition! I hope by sharing the work of these very talented crocheters that it inspires you to get those hooks out and give our patterns a try! All of the patterns mentioned here can be found on our Facebook page https://www.facebook.com/happyberrycrochet or on Ravelry.com. Just search for HappyBerry! !